Still catching lots of rainbows, but the browns are gonna be ripping up our baits real soon! 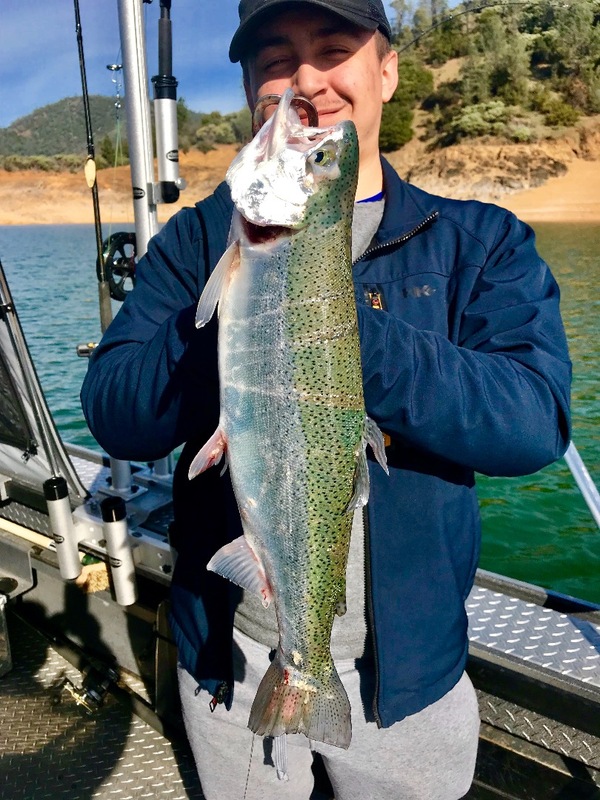 Shasta Lake is in great shape and is on the rise. Its come up about 35' feet since it bottomed out at 100' feet below full pool this summer. Water temps are running around 50-51 degrees and is slightly stained in the upper arms from the wet pattern storms we saw last week. The trout fishing is pretty good and the bass fishing is even better. I haven't been bass fishing, but the tournament anglers have been really coming in wth some good numbers at the past few week. I'm catching rainbows and browns, some of which are over the 5 pound mark. We're dealing with cold water and some wood debris which is shutting down some of my favorite places for bigger trout. Its not impossible to fish through it, but surface trolling isn't a good idea. 10'-20' feet down has been a good depth for me. Not much in the way of bites on top or down below 30'. I'e been catching a few of the King salmon planted in Shasta Lake last October. They are only 8" inches, but its good to see them in such good numbers again. CDFW planted 70,000 juvenile Kings in Shasta at the end of October and they plan to plant another 100,000 next year if all goes well. I'm looking forward to that for sure! Also, we have seven net pens full of 1 1/2 pound West Virginia strain rainbows and brown trout that will be released in the spring. 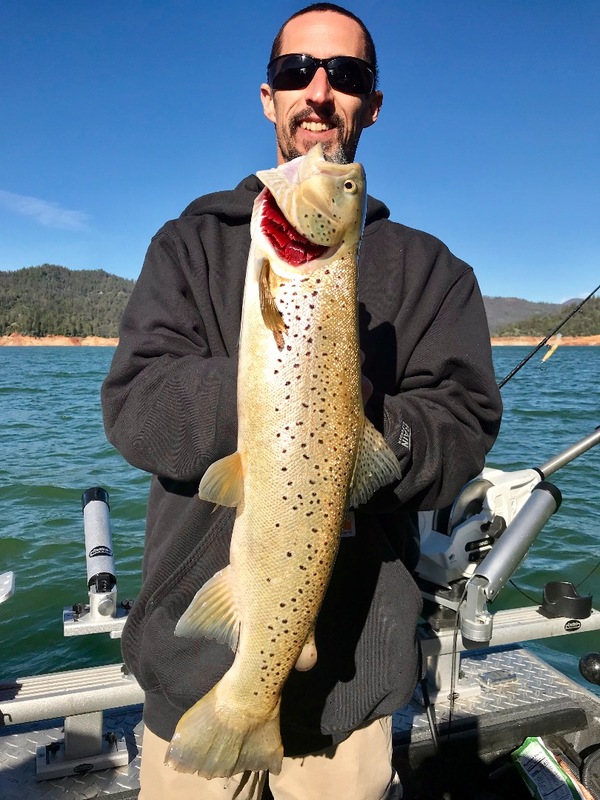 We already have such a great fishery on Shasta Lake and its seemingly going to get better and better with all the good work CDFW is doing for that body of water. Stay tuned, the best for 2019 has yet to come!